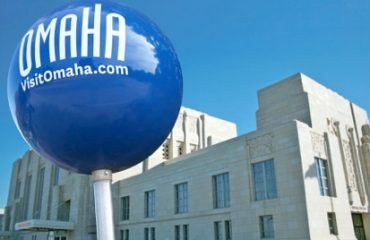 Not many 10-year-olds — or adults, for that matter — are on a 20-year career plan, but Kat Fuqua knows what she wants. Born to USDF gold medalist grand prix dressage riders Jeff and Shereen Fuqua, it was only a matter of time before Kat’s interest in riding surfaced. What couldn’t have been predicted was her special blend of passion, maturity, talent and determination that have her on the road to achieving her dreams. Kat’s first ride was on a miniature named Buttercup on her first birthday — complete with “My First Ride” halter. 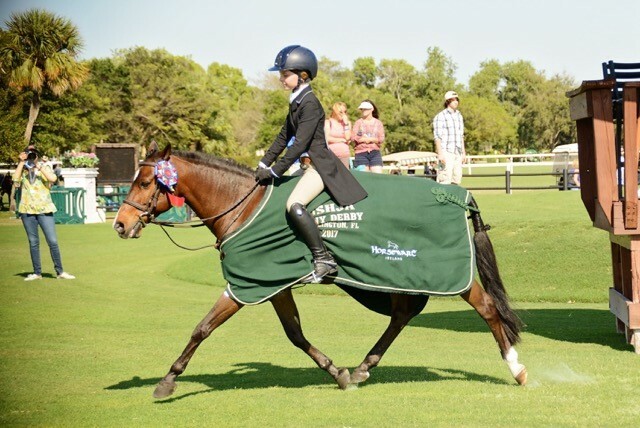 “My goals for riding are to one day get a champion ribbon at Pony Finals, and my really, really, really, really, really long-term plan is to make it to the Olympics,” Kat shared. 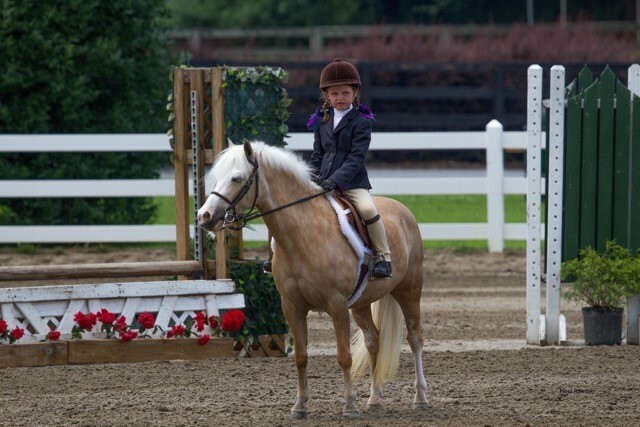 Having turned 10 just before Pony Finals this year, Kat’s resume already proves she’s got what it takes. 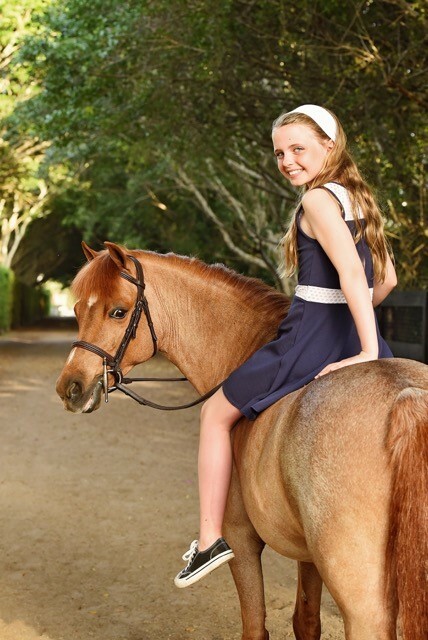 In 2017 alone, she has a wealth of tri-color ribbons from Atlanta A and AA shows; earned multiple ribbons at Devon; was WEF Circuit Champion for green pony hunter and 11 & under equitation, as well as Champion in the medium pony division; won the $5,000 USHJA Pony Hunter Derby in week 9 at WEF followed by the $10,000 USHJA Jr/Amateur National Hunter Derby the next day; and finished fifth of 174 competitors in the Marshall & Sterling USEF Pony Medal Final. 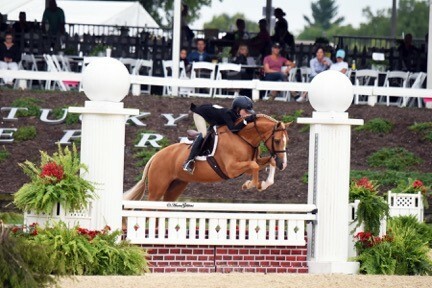 Kat is currently the USHJA’s most winning Pony Derby Rider in the country. Kat spent the 2014 WEF season showing Hillcrest’s Blue Gemstone under the direction of Mindy Darst. 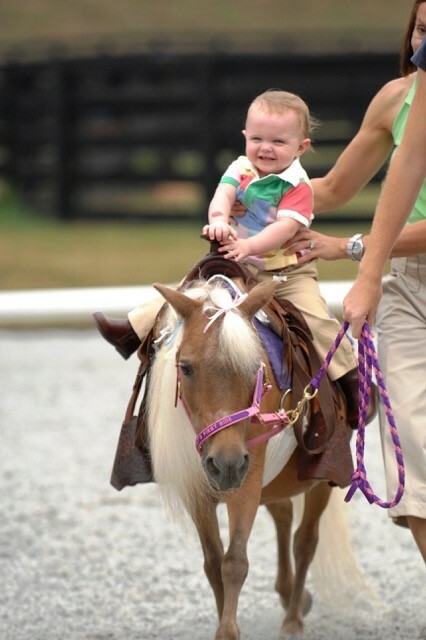 Kat’s first ride was during her first birthday on a miniature named Buttercup. She grew up watching her parents train at their family barn, Collecting Gaits Farm in Atlanta, Georgia, where she got her first exposure to Olympians. 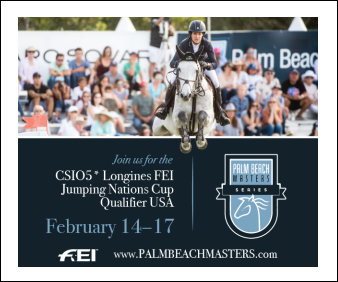 Top dressage riders were often brought in for clinics or private lessons, including Steffen Peters, Michelle Gibson, Lars Peterson and more. 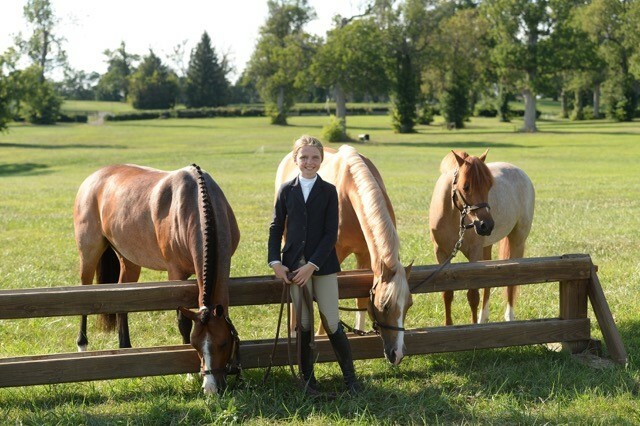 Kat graduated from leadline and began showing hunters at 5 years old, and her parents knew they needed to build a solid foundation for her riding. 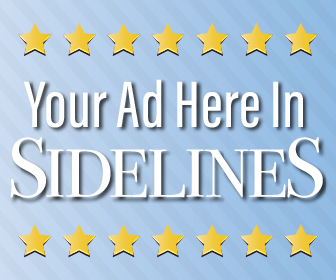 Shereen knew she wanted the best for Kat, and the best is what she got in Mindy: As a nationally known trainer, Mindy’s students won tri-color ribbons at top shows including indoors and Pony Finals. 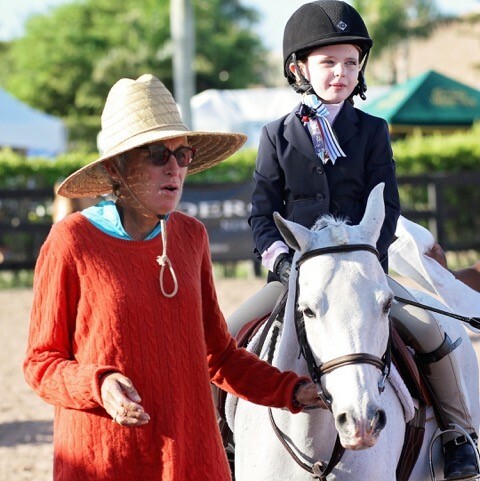 She was a USEF “R” judge and highly sought-after clinician, ran her own Lochmoor Stables and dedicated countless hours to the sport volunteering for positions with the USHJA and other key organizations. When they met her in November 2013, what the Fuquas didn’t know was that Mindy’s seven-year battle with cancer was nearly over. 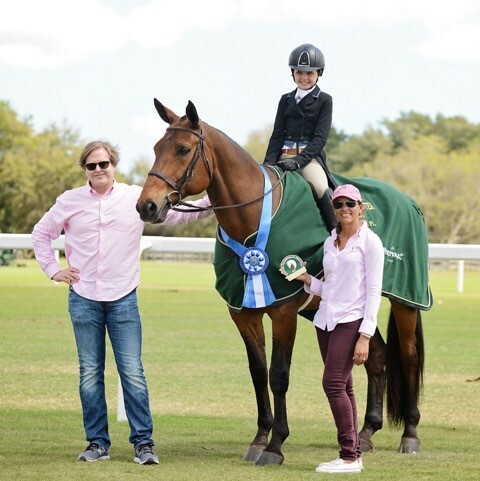 Kat won the USHJA Pony Derby on Somekindawonderful during WEF Week 9, and is currently the top ranked pony derby rider in the U.S. In her first-ever short-stirrup class — during her first-ever jumping season — Kat earned sixth place. But Mindy knew Kat had potential for much better. She was known to say, “You save your energy for the good ones,” and her experience let her see Kat’s raw talent, even at 6 years old. She outlined a plan for furthering Kat’s showing career after WEF, and returned to Ohio. Kat began showing in Kentucky with Mindy’s business partner Patty Rogers, and the Fuquas soon learned the reality of Mindy’s situation. “Mindy basically called me and told me she didn’t have much time left, and talked to me about how much she loved training the children,” Shereen said. The following week, Kat and Shereen flew out to Ohio for another weekend. “All of her students were there, and all day Friday, Saturday and Sunday, Mindy and Patty just taught the kids.” The Fuquas even arranged for a hot air balloon to pick Mindy and her family up from their home to see her beloved horse farm from the sky at sunrise. Sunday night, Kat thanked Mindy with a big hug as she left for the airport. The following day, Monday, June 2, Mindy passed away. 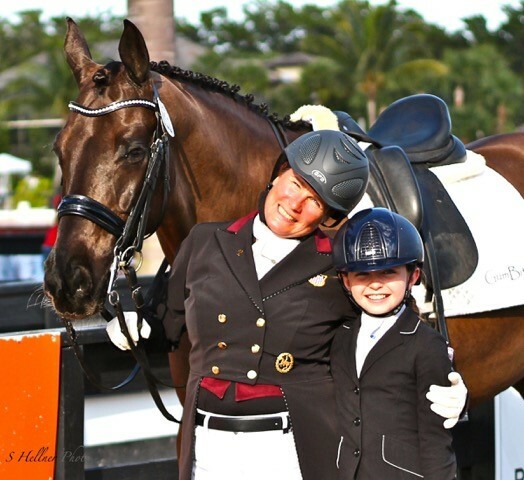 Kat’s parents were proud to watch Kat win the USHJA $10,000 Jr/Amateur Hunter Derby during WEF Week 9. Armed with a treasured T-shirt proclaiming “Refuse 2 Lose” that Mindy had gifted her, Kat continued to develop her riding skills. 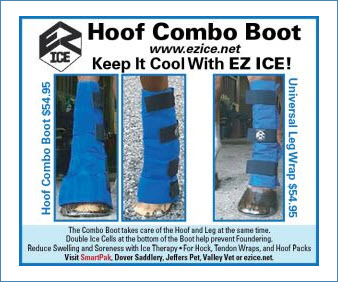 Striving to keep Collecting Gaits Farm in Atlanta their home base was difficult as they searched the country for top trainers. Kat spent regular time learning from Olympic bronze dressage medalist Michelle Gibson, developing her equitation — which played a role in Kat earning Reserve Circuit Champion 11 & Under Equitation at WEF 2016, and taking the championship the following year in addition to winning numerous other tri-color ribbons, derbies and indoor ribbons. And all the while, Shereen made sure to give credit where it was due. “Every time Kat wins something big, I call Greg Darst and thank him for sharing his wife with us,” she said. 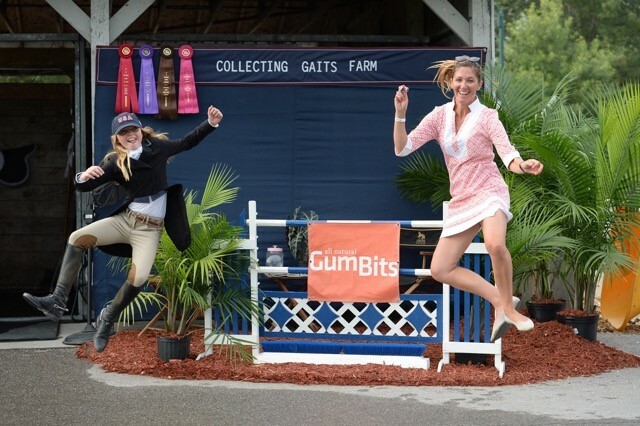 Beginning in 2016, Collecting Gaits Farm became the first Presenting Sponsor of the USEF Pony Finals “in honor of Mindy and her love for the ponies, the kids, and the sport,” Shereen said. 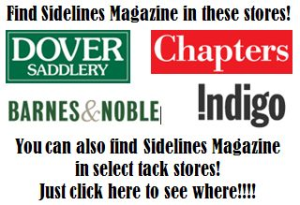 Kat is regularly trained by Olympic Dressage Bronze Medalist Michelle Gibson. In fact, when Kat’s not at school or riding, she can usually be found jumping anything she can find on foot — including in the house. Her heart truly is in jumping — and with her ponies. Though she can be shy, all one needs to do is get Kat talking about her ponies to see that she’s still a little girl who truly loves her ponies — and has a mature determination to ride them to the best of her ability. “I own four ponies and a horse,” she said. “High Noon 3E, Captain America, Goldhill’s Arresting Charm, Chic In Time and Finesse RF. Charm is the sweetest — he loves to cuddle. 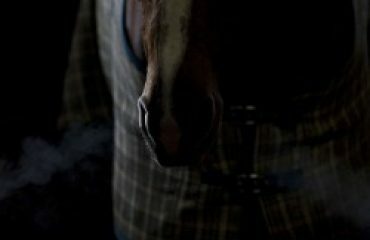 “Hippo is the horse, High Noon 3E. He’s really sweet and he takes care of me,” she continued. “He doesn’t really know how big he is. I do the children’s hunters with him. Nacho is Captain America, and he is very brave — except when it comes to plants. One time a plant fell over in the ring and he just had a temper tantrum. He ran off sideways and I came off the other side because I wasn’t expecting it. They let me re-do the round, since it was interference in the ring, and I came back and got champion with him — so I forgave him for doing that,” Kat said with a fond smile. 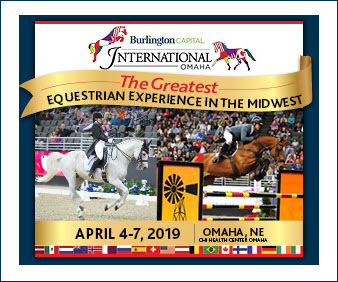 Kat took three ponies to Kentucky for the USEF Pony Finals 2017: Captain America, Chic In Time and Goldhill’s Arresting Charm. With their eyes on the future, Kat and Jenny hope to see each of Kat’s ponies win a national title even as Kat begins to ride in the junior hunters and big eq. She recently acquired RS Levitation, a Dutch Warmblood gelding she will show this fall in the 3’6” junior hunters. Kat has already qualified at least two ponies for indoors, and is currently working on earning points towards Devon with the determination and drive to win that Mindy instilled in her.